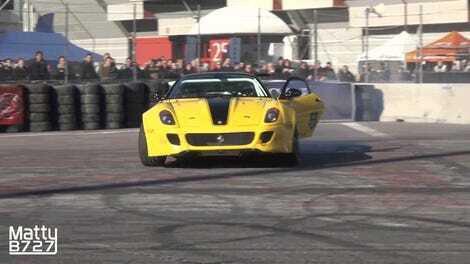 The twin-supercharged, 900 horsepower V12 Ferrari 599 has been the most anticipated car to come to Formula Drift in years and, well, things didn’t go great on its debut. 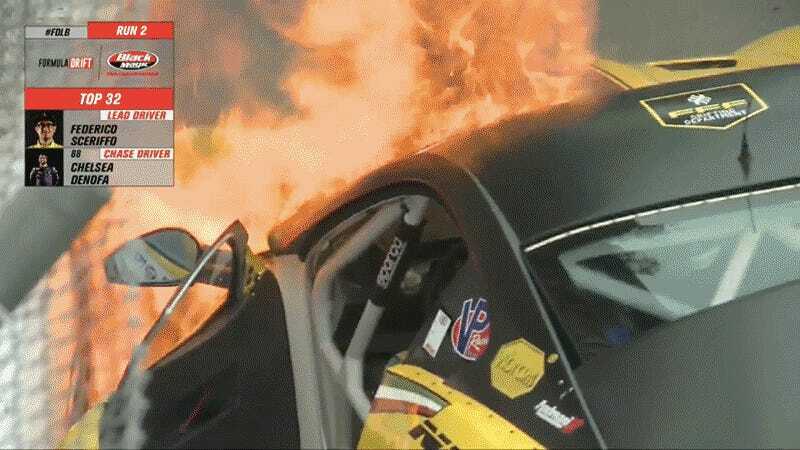 On its first round in its debut competition, it burst into flames. Federico locked up, DeNofa continued and by the time the camera panned back to his car, Fiorella was spewing fire. 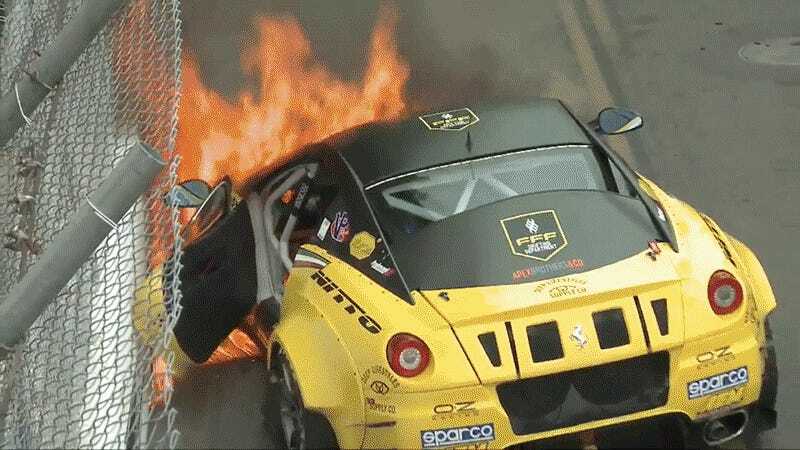 Federico made it out of the car OK and appears very much uninjured, though he took a moment to shake his hands at the car before getting calmed down by an official. Not long after fire crews came to put the whole thing out, not without some effort. Hopefully Fiorella will survive this one and emerge from the ashes rebuilt. We’ll update the story if we hear more. 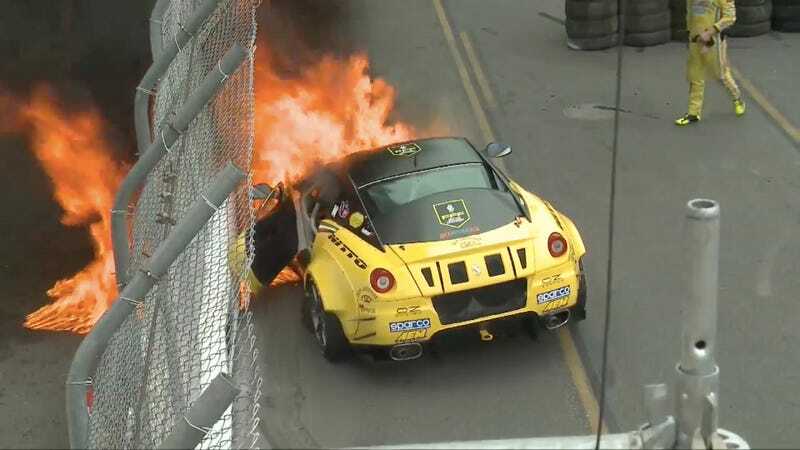 UPDATE: The Maximum Driftcast half time show reports that a knuckle broke on the Ferrari (that’s the part that the wheel mounts to), which then pinched some lines and started the fire. Here’s a closeup of how the car sits. Looks fine to me!